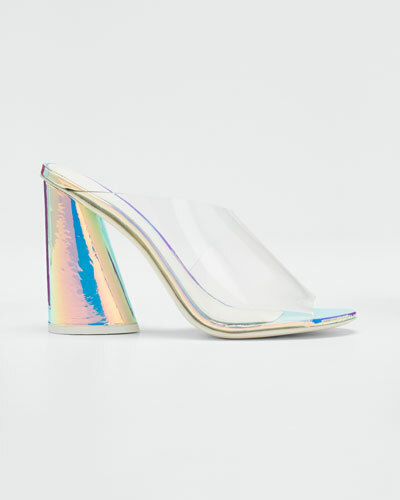 Mercedes Castillo is a Spanish designer who studied in Madrid and Milan before she moved to New York to specialize in footwear. Her current collections are bold and inspired, yet wearable and practical for women with a strong point of view. From embellished mules and slides to striking boots and pumps, Mercedes Castillo shoes speak for themselves and make any outfit come alive. Comprised of bright metallics, buttery leather, and rich suede, Castillo’s footwear takes you effortlessly from season to season without getting bored. Bergdorf Goodman carries a diverse selection of Mercedes Castillo shoes and boots to help you complete the look. 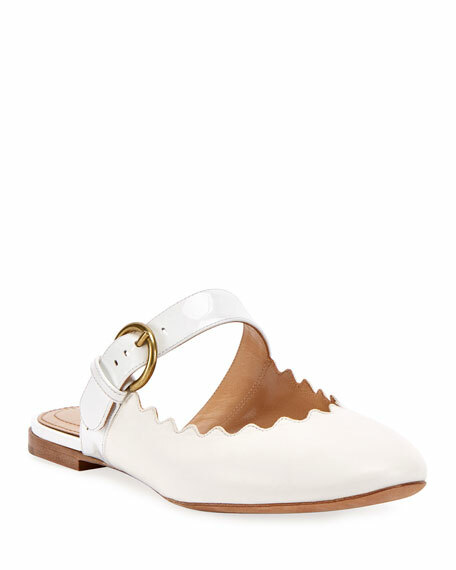 Chloe "Lauren" scalloped napa leather mule. Flat stacked leather heel. Oval toe. Adjustable Mary Jane buckle strap. Leather liing and sole. Slide-on style. Made in Italy. 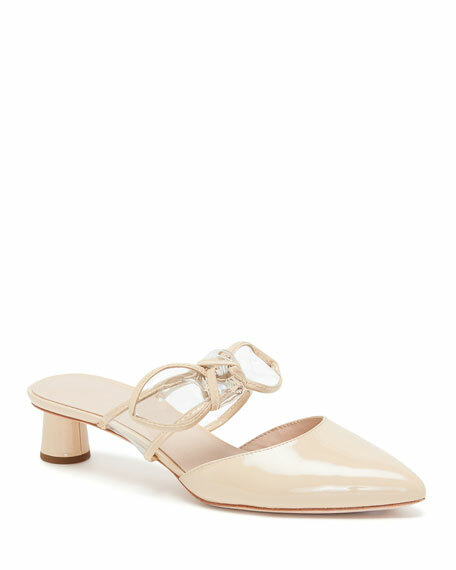 Loeffler Randall "Maira" mule in patent leather is topped with a knotted, see-through vinyl bow over the instep. Finished with contrast pickstitching. 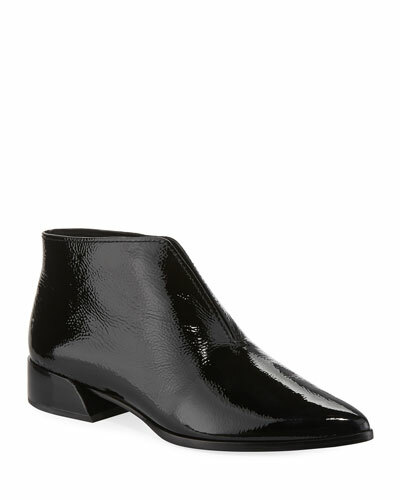 1.3" cylindrical, set-under heel. Pointed toe. Leather lining and sole. Slide style. Imported.